We actually wanted to visit a spring up western restaurant within the vicinity, however, the western restaurant was full house and some of the tables were reserved. 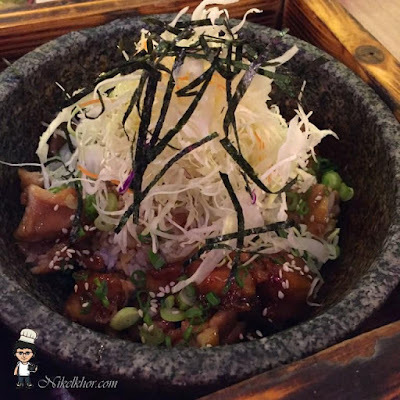 As an alternative, we found this japanese restaurant which looks quite decent to us, so, without hesitation, we went for japanese cuisine instead of our initial plan. Shunka Japanese Restaurant is not new in Bukit Mertajam, and this Shunka in Pusat Perniagaan Seri Impian is not the only restaurant, they have branches! In a way, it proves the popularity of the restaurant. 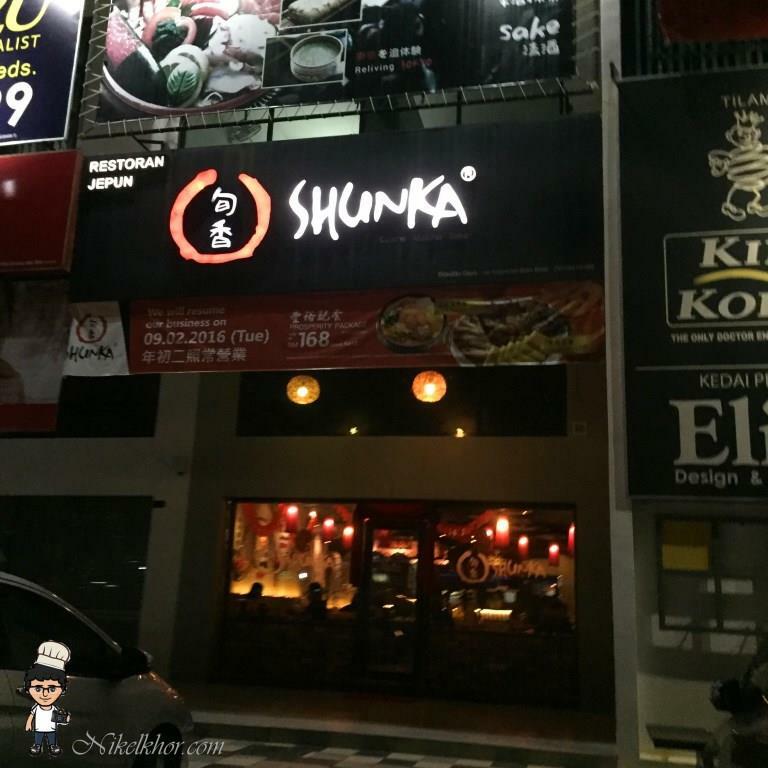 Ramen is one of my favourite japanese cuisine and I would like to try Shunka's ramen too. 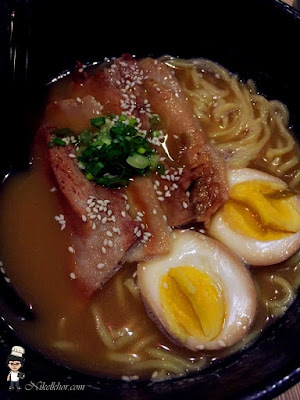 The pricing is reasonable and attractive, as it is normally sold at least RM25.00 in ramen specialty restaurants. Overall, it tasted not too bad and at this price, I cant't demand it to be on par with branded ramen. Japanese Bibimbap is something new to me, but it does not taste very different from the Korean style. 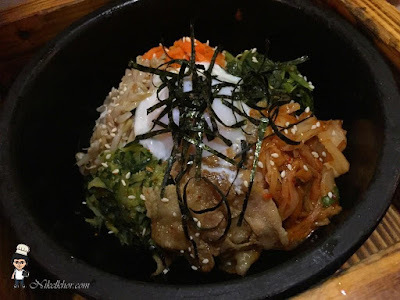 However, if you are a Bibimbap lover, this is a good choice, I especially like the idea of having onsen tamago in place of the normal sunny side up, making the dish not so dry. 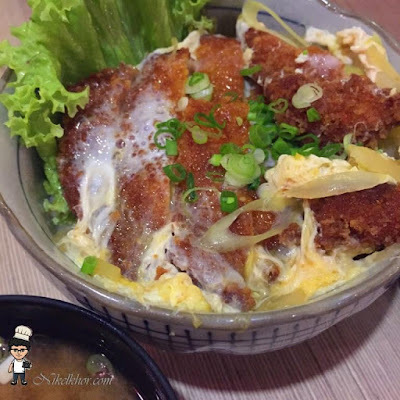 The pork steak bowl rice looks very sumptuous with a huge piece of pork chop, egg and vegetable. The teriyaki bibimbap is highly recommended, chicken thigh was used and well marinated. To balance up the nutrients, a big portion of cabbage was added and nicely cooked with the heat of the stone pot. This is super flavourful and it can be walloped up easily.